France, 1999: a total solar eclipse. Every few years a small part of the world is treated to a total solar eclipse. This year, on the morning of Friday 20 March, that lucky zone lies in a 100 mile wide track between Iceland and the United Kingdom. 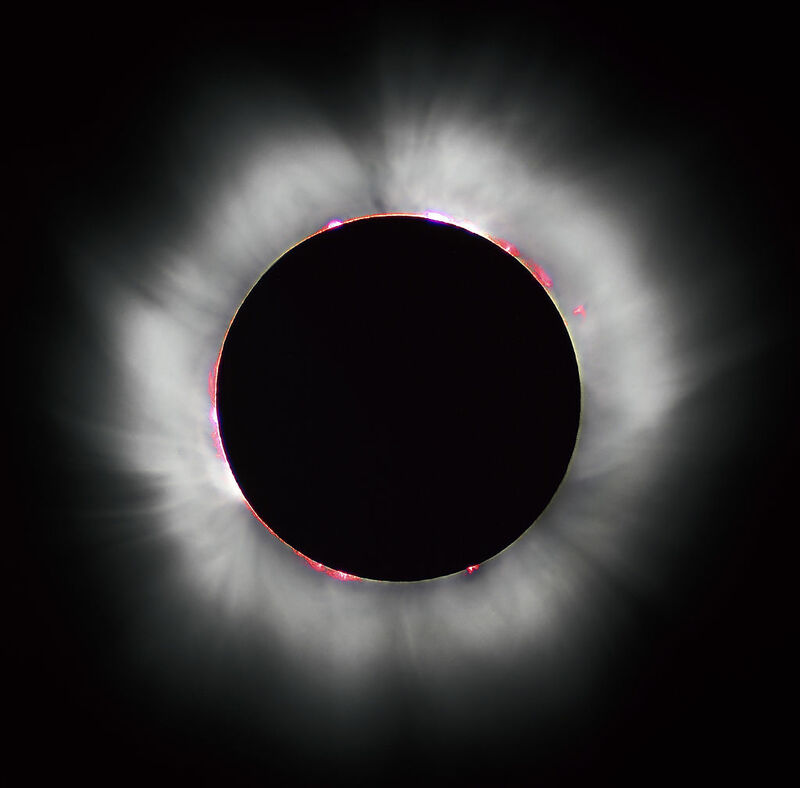 A fortunate few on the Faroe Islands and on Svalbard will see about 2 and a half minutes of totality, and they are the only places to see this from dry land. Don’t fancy trekking out there to see it? You could be in luck. Millions of people across North Africa and all of Europe will witness the skies darken and the moon move across the sun in a partial eclipse. The closer you are to the track of totality the better the view. This favours those in northern Europe, and particularly the UK and Scandinavia, with some seeing over 95% of the solar disk covered. From my office in Bristol, UK, the moon will cover just over 86% of the sun. So if you’re in North Africa or Europe check the skies on Friday morning, and hope that the weather holds. Edit: Don’t forget to keep your eyes safe. Looking directly at the Sun is very dangerous. The only way to view the eclipse safely is to project or filter the Sun’s rays. Check out some safety tips from the British Astronomical Association. Image: Total solar eclipse in France 1999, by Luc Viatour. This file is licensed under the Creative Commons Attribution-Share Alike 3.0 Unported license.